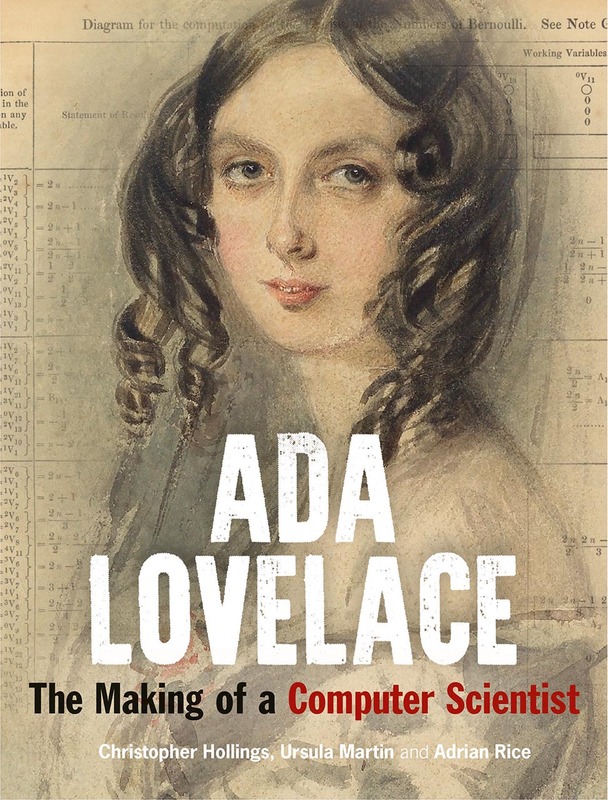 The book “Ada Lovelace: the Making of a Computer Scientist” by Christopher Hollings, Ursula Martin, and Adrian Rice will be published soon by Bodleian Libraries in the UK and distributed by the University of Chicago Press in the USA. It is a product of a joint project between CMI and the Bodleian Library at the University of Oxford. From the Publishers’ description: “Ada, Countess of Lovelace (1815–1852), daughter of romantic poet Lord Byron and his highly educated wife, Anne Isabella, is sometimes called the world’s first computer programmer and has become an icon for women in technology. But how did a young woman in the nineteenth century, without access to formal school or university education, acquire the knowledge and expertise to become a pioneer of computer science? Although an unusual pursuit for women at the time, Ada Lovelace studied science and mathematics from a young age. This book uses previously unpublished archival material to explore her precocious childhood, from her ideas for a steam-powered flying horse to penetrating questions about the science of rainbows. A remarkable correspondence course with the eminent mathematician Augustus De Morgan shows her developing into a gifted, perceptive and knowledgeable mathematician. Active in Victorian London's social and scientific elite alongside Mary Somerville, Michael Faraday and Charles Dickens, Ada Lovelace became fascinated by the computing machines devised by Charles Babbage. The table of mathematical formulae sometimes called the ‘first programme’ occurs in her paper about his most ambitious invention, his unbuilt ‘Analytical Engine’.